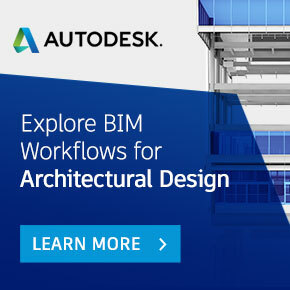 Building Information Modeling offers the capability to develop project cost information with more accuracy throughout the entire building lifecycle. The key to successful use of BIM‐based costing will be the development of processes and methods within organizations. The level of detail required in a building model will vary depending on project phases, from preliminary (macro) costing models to very detailed modes required for micro costing activities during the construction phase. Professionals using 3D costing applications will need to select a method depending on project phase and the detail required and develop in‐house standards and procedures for aligning their models with the estimating processes. Industry standards for data exchange – IFCs in particular and frameworks or information classification are integral to industry interoperability. As many standards are still developing, so are classification systems. Professionals using BIM will have to adopt strategies to integrate and change as these technologies and classifications mature. BIM offers the promise of a central detailed database for a range of project applications, and its visual capabilities for all of them should be a notable advantage when considering how professionals can change and manage building information throughout a project. As new technology develops, BIM will assist cost estimating but will not obsolete estimators; rather, it promises to free them to focus on higher value task than counting, returning increased value to project processes. many components that constitute a building. Several taxonomies ‐ techniques of classification, have been used for years in the AEC profession to organize building information. Methods chosen for use are very dependent on the project phase and detail required. Preliminary phases require a much more generalized organization than the detailed information required during the mature phases of a project cycle. The following document courtesy of Design + Construction Strategies (www.dcstrategies.net ) ‘Challenges in Cost Estimating with Building Information Modeling’ , outlines the constraints and solutions for cost estimating with BIM.